Very cute cards! 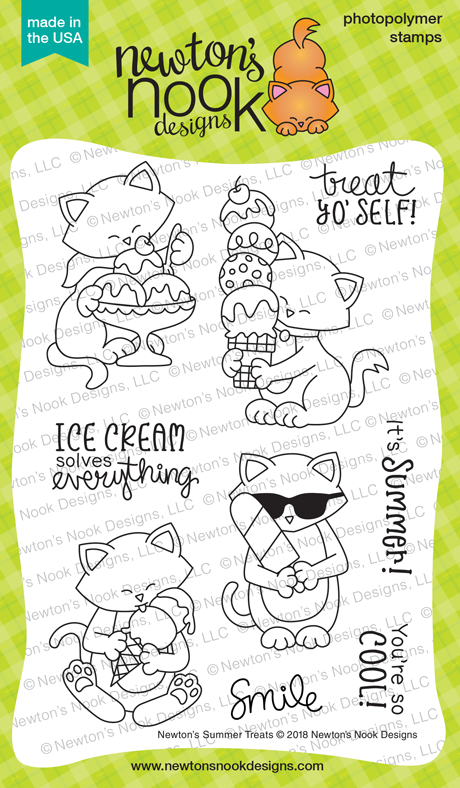 I love Newton with his yummy treats! Such fun cards! Loving these sets! I love the new stamp sets. 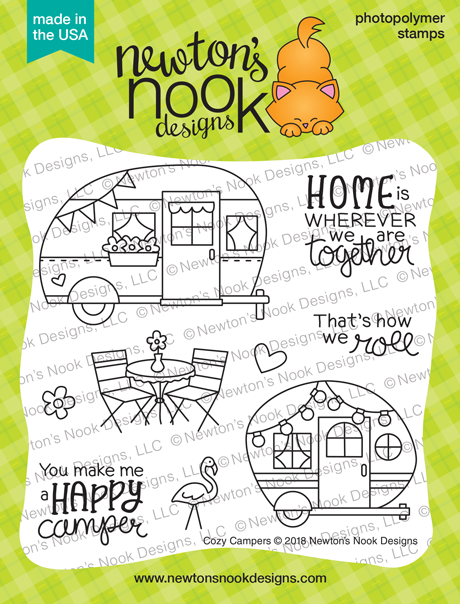 Your coloring and cards are super cute. Sweet, sweet cards! Lovely coloring and super cute designs. Hi Juliana. You nailed the background on your first card. Totally looks like melted ice cream. Your little scene with the trailer is adorable. So far, I need this entire release--whoopie! Thanks for the inspiration. Very cute Newton image and love the background. I am loving the camper set...so many great ideas including your take. Your background with the alcohol inks is amazing! I love the coloring too! Two stunning looking cards, love them both!!!! So cute! I love the camper set so much. BEAUTIFUL cards! 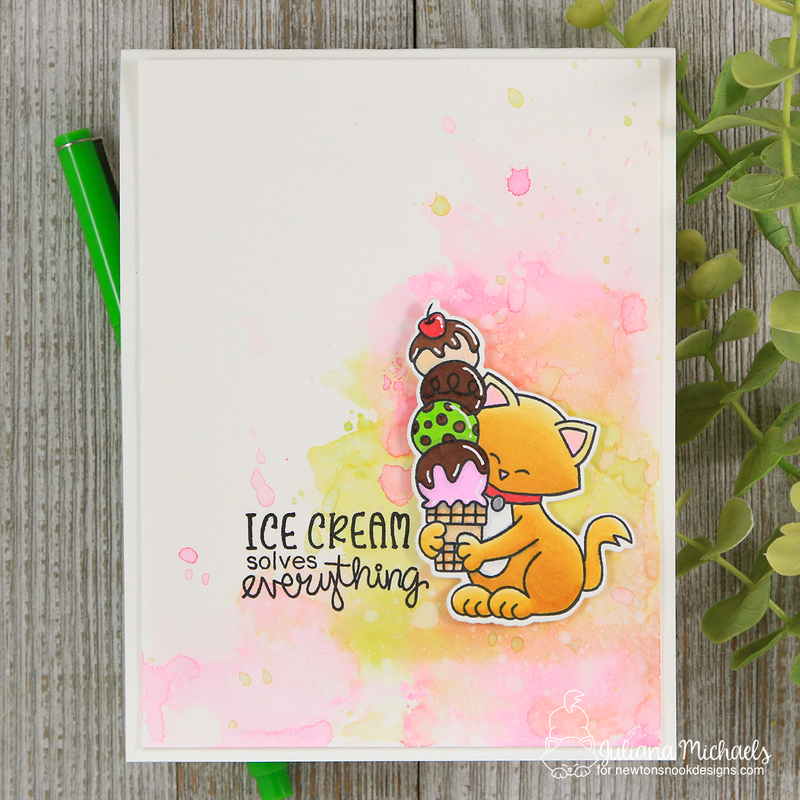 I especially like the smooshing technique that you used for the top card! I also LOVE the color choices you used in doing it too!! Perfectly sweet cards! Such lovely designs and color palettes. Great cards. I love your water coloring for the background. Love the sun behind the camper. wonderful cards love the soft background behind the adorable newton! 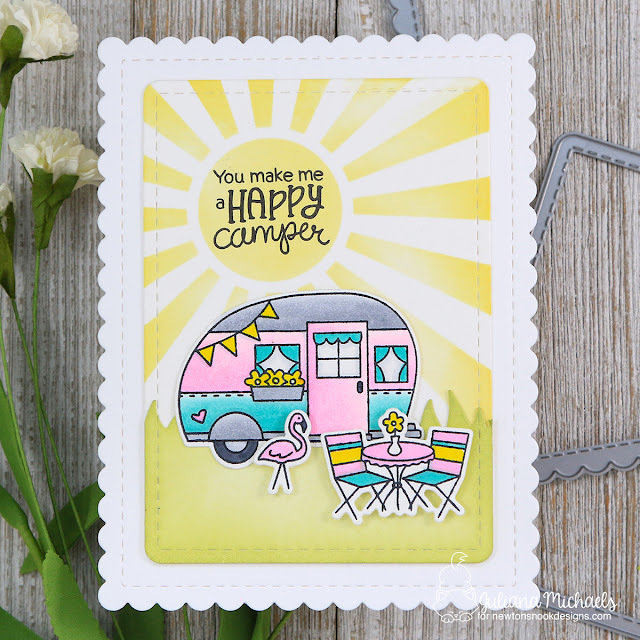 Great cards, love the coloring on the camper card! 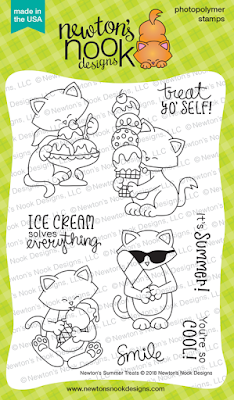 Cute cards! :) This new release is awesome! 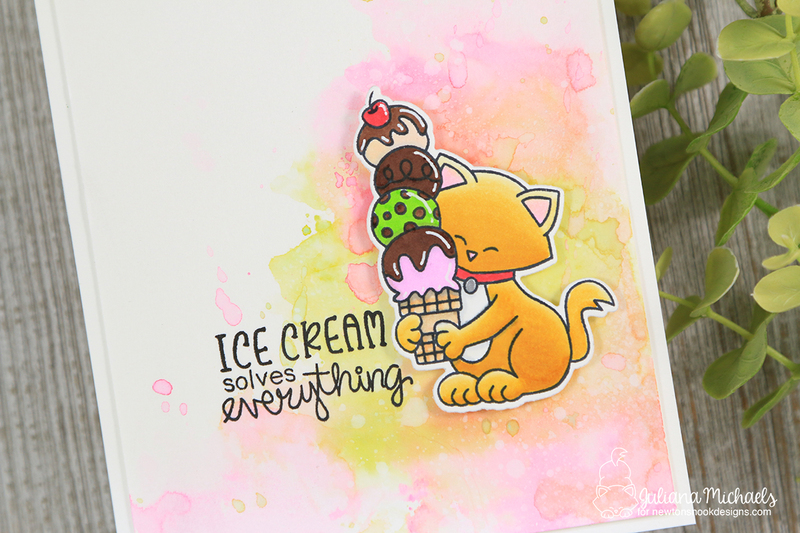 Love the water colored background with that cute kitty and his ice cream. 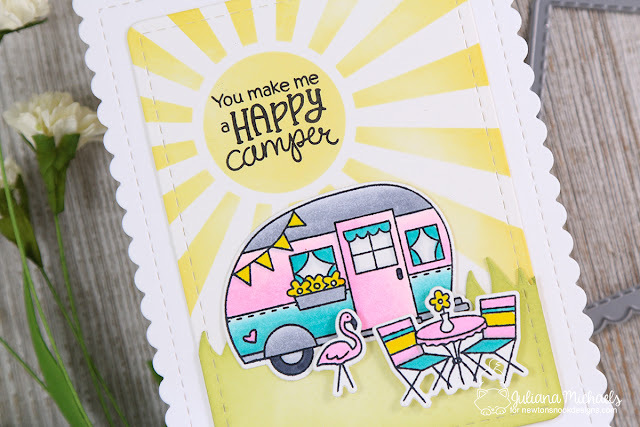 Your camping scene looks serene! Love these cards! Your coloring is so beautiful! Love the pastel shades & sunny background of the camper card! Fantastic cards! I love the sunbeam stenciled background! Your inky backgrounds look wonderful and I love your coloring. FUN cards!